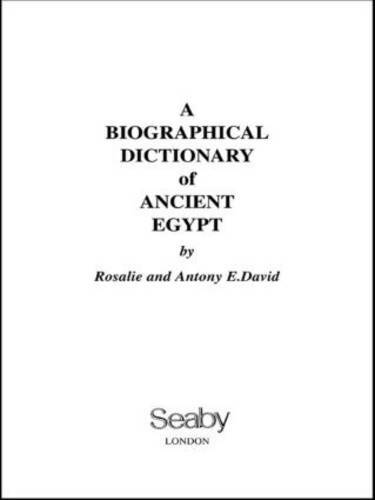 Important historical and cultural figures as well as some well-known individuals in Egypt's long history (c 3100 BC - c AD 600) are incorporated in this work of reference. Rulers and members of their families, significant figures and important foreigners with whom the Egyptians came into contact are all included. The entries are based on original source material and there are bibliographies for each entry.